Bridge in Buenos Aires, Argentina, is renowned for its immersive study abroad Spanish programs and customized faculty led trips for U.S. universities. 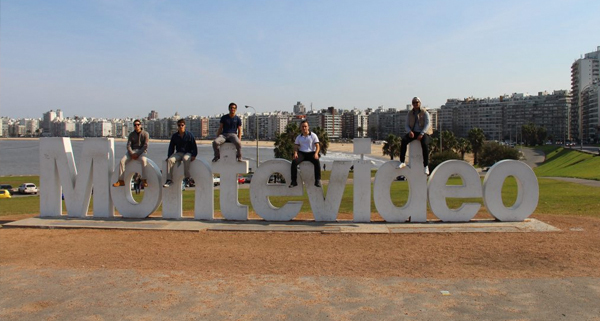 This year, a group of about 30 undergraduate students from Northeastern University in Boston, Massachusetts came to Bridge in Argentina to take part in a faculty-led Spanish immersion program during the month of July. The group studied abroad at Bridge as part of a program called Dialogue of Civilizations (DOC), offered through Northeastern University’s Global Experience Office. The DOC program provides students with intensive, short-term study-abroad experiences at various international locations such as Turkey, England, China, Ghana, Poland, and Argentina/Uruguay. This most recent group marked Northeastern University’s eighth year sending faculty-led groups of students to Bridge as part of a long-standing partnership. 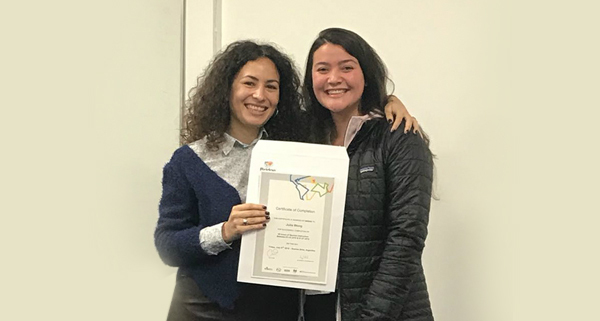 Accompanied by their faculty advisor, Claudia Sokol, the students came from various degree programs at Northeastern and represented a range of Spanish language levels. All, however, shared the common goal of improving their Spanish proficiency through immersion in both the language and culture of Argentina and nearby Uruguay. Students were supported in this goal by Bridge, both in and out of the classroom. Pre-departure advising and prepare-to-go materials were provided before the students left Boston for Argentina, and upon arrival, all students attended an orientation to cover important points regarding their time in South America. 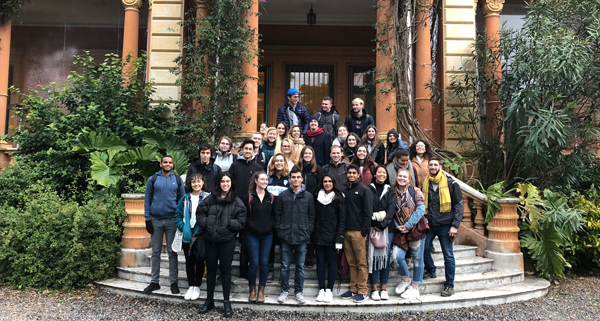 All students stayed with host families in order to experience a deeper level of language immersion as well as a window inside true Argentinian/Uruguayan culture. “My host mom was so nice and I was glad that she didn’t speak any English so I was forced to speak Spanish. I feel like I’ve learned so much for just even a week.” - Program participant, Athena Huang. The students were placed in small, semi-intensive group Spanish classes according to level and attended classes four hours a day for three weeks, for a total of 60 hours of Spanish language training. Academic classes complemented the Spanish program and were in subjects such as Argentinian literature, economics, and history. Through this structured program, the students earned eight university credits toward their degree at Northeastern. All Bridge language programs have a strong cultural focus, and include various excursions, workshops, and lectures; therefore, Northeastern students took part in activities after class designed to put their language into practice within a real-world context. Some of the student activities included learning about the tango and its influence on Argentina, visiting a ranch in the outskirts of the city to experience gaucho life and folklore, and volunteering with animals. 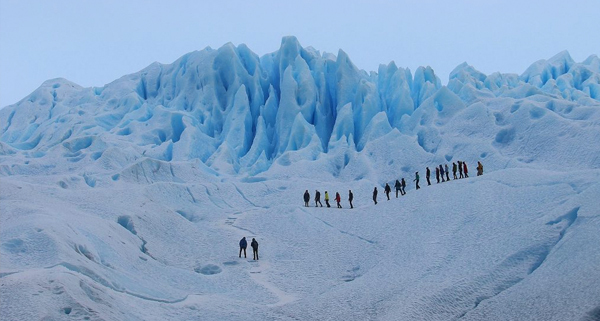 The group traveled to Montevideo and Colonia del Sacramento, Uruguay, as well as south to the Parque Nacional los Glaciares in Patagonia to trek the Glaciar Perito Moreno. Bridge looks forward to a continued partnership with Northeastern and other universities in the future, through which we can provide supportive study abroad experiences that foster international awareness and learning for students. 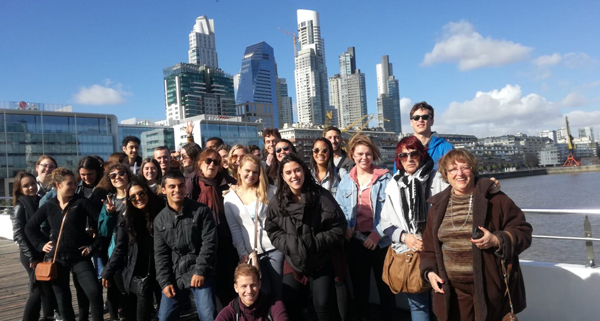 To learn more about Bridge study abroad programs in Argentina, click here.